Get familiar with the essence of our cloud web hosting service. See what it’s like to manage your web sites in the cloud with Xeetec Hosting. You can now install web apps such as Joomla and WordPress with a single click thanks to our free App Installer. Discover more about it. Exceptional prices for SSL certificates with Xeetec Hosting. You can have your certificates auto–installed once they are ready. To ensure the best possible experience for your website visitors, you need to find the perfect location for your web sites. Having taken this into consideration, we offer data center facilities on three different continents. This allows you to pick the data center that is nearest to your target visitors so that you can offer them the best site loading speeds. Most importantly, our web hosting service is 100 percent risk–free. We offer you a 99.9% server uptime guarantee, meaning that your websites will be available online no matter what happens with our hosting servers. And in case you have any queries, our customer care staff is available to you 24x7x365 and the guaranteed customer support ticket response time is less than one hour. In case you are not satisfied with our cloud web hosting service for any reason, you can get a refund. We offer a 30–day money–back guarantee. People Love Our Services! Review Xeetec Hosting! If you’re looking for a simple and user–friendly web site administration solution, try out the Xeetec Hosting Control Panel. Among the main features of the Control Panel are the drag–and–drop File Manager and the full–featured Domain Names Manager. ModSecurity will shield your sites against hack attacks and the Web Accelerator Tools will boost their speed by tenfold. The Free Web Apps tool will allow you to install any software app in seconds, and the Website Installer Application – to swiftly install a website in 4 easy steps. You can generate a site map in several seconds with the Sitemap Generator. Last, but definitely not least – you will be fully content with the way in which your website looks and feels like, because you can personalize any of the 800+ free of cost web templates that we provide. All those features (and many more) are added with one goal – to make the web site management simpler and much more effective. We’ll provide you with a secure, fast and reliable cloud hosting platform with a 99.9% uptime guarantee. Furthermore, all our cloud hosting packages offer plenty of storage space, bandwidth and MySQL database storage space allocations. You will gain access to an amazing Control Panel, which offers all the tools you will need to convert website administration from a headache to something simple and exciting. You’ll obtain a pile of charge–free bonus features, which will help you make your site work better and load faster. A free domain name is also available with each cloud web hosting package that we are offering. Low cost domain names for your business, more than 50 universal and country code domain extensions. Together with the convenient to use Domain Names Manager, you will be able to manage the whole set of options of your domains from one location. 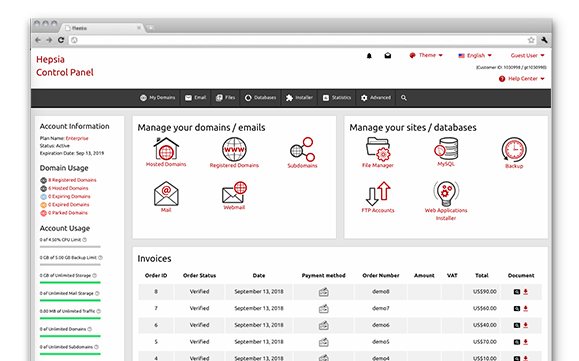 You’ll be able to alter your WHOIS details, to create custom DNS records, to park domains and many more. At the same time, with every one of our cloud website hosting plans, you can get any of the most common domain extensions at absolutely no cost. The domain you opt for will be totally free for as long as you host your site(s) with Xeetec Hosting. Each of the cloud hosting plans that we are offering features a huge collection of free tools built straight into our Control Panel. These include: a Free Web Apps tool, which allows you to install more than forty popular web apps with no setup needed; an Website Installer Application, which enables you to launch a new website with a custom web design template in just 3 easy steps; a Sitemap Generator, which permits you to create a sitemap for every site you have with us in a flash; an .htaccess Generator, which permits you to swiftly create an .htaccess file, and a lot more. You can also take advantage of a free domain name registration or transfer with each of our cloud web hosting packages.